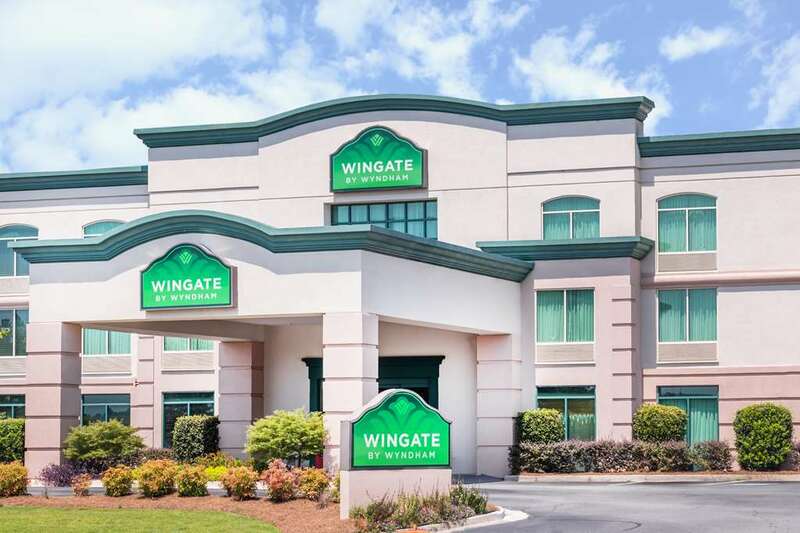 Learn about the history around the Civil War in the Cherry Tree Capitol of the World when you visit this Wingate by Wyndham Macon, conveniently located off Interstate 75, near Lake Tobesofkee, the Georgia Music Hall of Fame, downtown Macon, and many local restaurants. Ideal for both work and play, this smoke-free lodging offers complimentary hot continental breakfast and newspaper, complimentary internet, outdoor pool, fitness center, laundry facilities, meeting rooms, board room, and 24-hour business center with complimentary print, copy and fax services. Guest room amenities include refrigerator and microwave. Handicapped-accessible rooms are also available.